October 30, 2015 8:55 A.M. The Special Advisor for high speed rail (HSR), The Honourable David Collenette, has significant experience interacting with diverse and influential stakeholders, as well as knowledge of policy and regulatory issues related to the transportation sector. Since his retirement from Parliament in 2004, Mr. Collenette has served as an advisor to many organizations in the defense and transportation industries. Mr. Collenette is a Fellow of the Chartered Institute of Logistics and Transport. Identify economic development opportunities associated with high speed rail in coordination with the Premier's Business Advisor. Engage with public and private sector stakeholders, as well as First Nations and Métis communities, to align interests and develop constructive relationships on behalf of the province. Liaise with Ministers and key stakeholders to build awareness and enthusiasm for the implementation of HSR in Ontario. 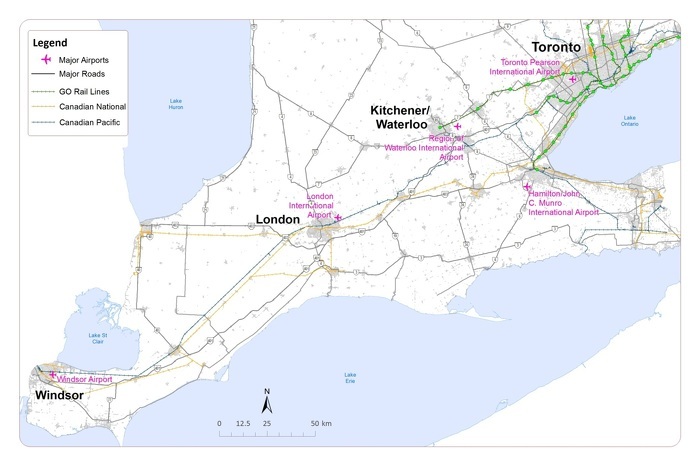 Assess international experiences with high speed rail to support a made-in-Ontario solution that leverages private sector expertise, and provides significant value for Ontarians. Provide advice on a preliminary business case and potential financing models to promote innovation in project delivery, and ensure value-for-money. This document was published on October 30, 2015 and is provided for archival and research purposes.